CINCINNATI, OH (FOX19) - Voters who want to cast their ballots early have just one day left. 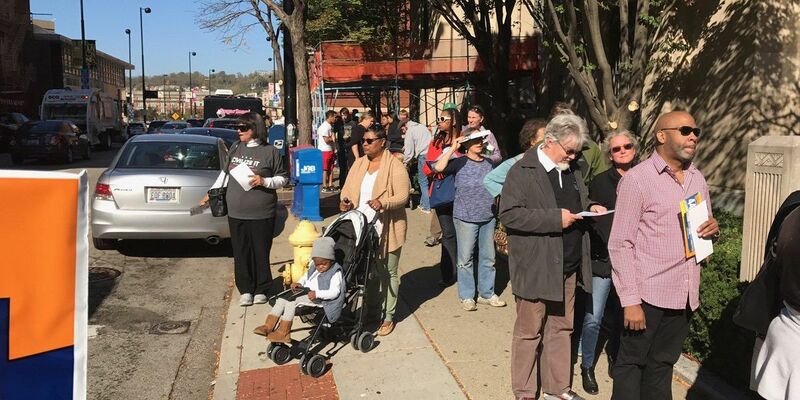 A long line of people waiting to cast their ballots could be seen outside of the Hamilton County Board of Elections on Sunday. "I got here at 1:30, so now it's little bit after, going on 4:30...so almost three hours now," voter Jacinta Figueroa said. "We've been waiting for approximately about two and a half hours," voter Connie Harris said. Monday is the last day for early voting. The BOE will be open from 8 a.m. - 2 p.m. Early voting started Oct. 12 and already turnout has been high. Back in 2012, nearly 800,000 Ohioans submitted an early vote. If you got an absentee ballot, it must be postmarked no later than Monday, Nov. 7. Polls are open for Election Day from 6:30 a.m. - 7:30 p.m. on Tuesday in Ohio.